Submitted by Alessandro Automageddon via our Facebook page. Thanks to our many friends who submitted photos this week. 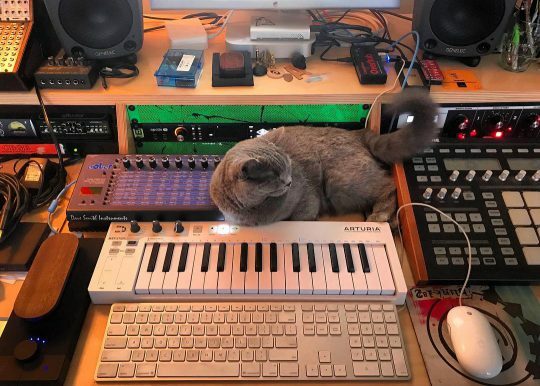 Keep them coming via Facebook, Twitter @catsynth or contacting us. Submitted by Alessandro Automageddon on our Facebook page. The Evolver is a particular favorite here at CatSynth. Always great to see it make an appearance with the cats.